Health officials say the number of confirmed cases of measles in western Washington has grown to at least 30, with nine more cases suspected. Clark County Public Health said on Jan. 25 that 29 of the cases were in southwest Washington with one confirmed case in King County, which is home to Seattle. More than 50 people have now been infected by the measles in an outbreak across southwest Washington state and northwest Oregon, and doctors and nurses say it's spurring people to get vaccinated. 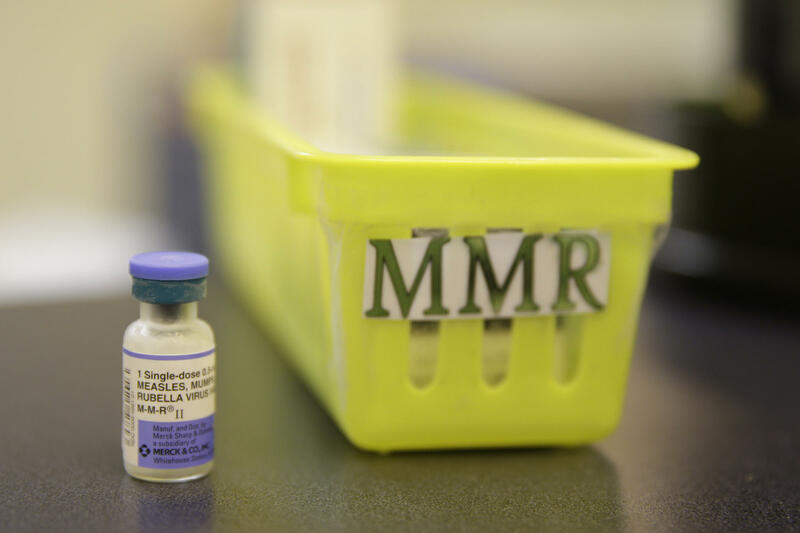 At Sea Mar Community Health Center in Vancouver, Wash., administrator Shawn Brannan says that so many have been coming in for a measles shot recently that they had to order almost 10 times as much vaccine as usual. "Larger populations that typically don't vaccinate their children for their own reasons are now in a mad dash, if you will, to get vaccinated," says Brannan. He said many patients are from the former Soviet Union, where distrust of government runs deep. But he says the clinic is also getting lots of other patients with their own reasons not to vaccinate. "It's the Google monster, unfortunately," says Brannan. "Once people Google, they find all these warnings and adverse reactions. And it can sometimes blur what's really important for the child or even people to get." 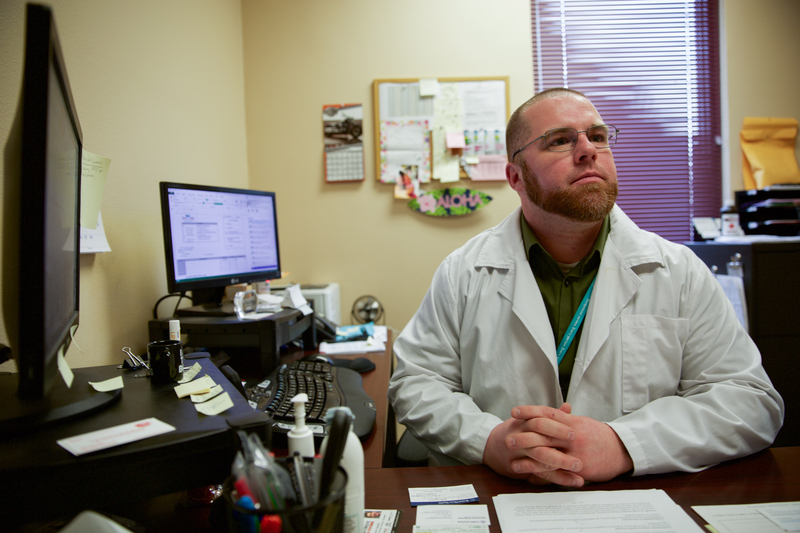 Shawn Brannan, administrator of Sea Mar Community Health Center in Vancouver, Wash., says, "Larger populations that typically don't vaccinate their children for their own reasons are now in a mad dash, if you will, to get vaccinated." Brannan thinks people also see their kids getting colds this time of the year — with runny noses, red eyes and coughs — and worry it might be measles. Colds and measles have the same early symptoms. Clark County public health director Dr. Alan Melnick is exasperated. "I mean, this is a lousy way to get vaccination rates up," says Melnick. "I wish we had vaccination rates up ahead of time. I wish it didn't take an outbreak and one child already being hospitalized." The Washington State Health Department says about 530 people were immunized against measles in this area last January. This January, there have been more than 3,000 immunizations. Across the Columbia River in Portland, Ore., nurse practitioner Nancy Casey helps run the Health Center at Roosevelt High School. She has had kids come to her to catch up on their shots because their parents didn't believe in vaccination. She remembers one particular 16-year-old. "The child said, 'You know my mom really doesn't believe in vaccines, but I'm thinking that I want to start,' " says Casey. Oregon law allows children 15 or older to consent to physical health care. So Casey can vaccinate them without first informing a parent. Casey says she asks students who come to her for shots questions like "why doesn't your parent want you to have vaccines?" "Do they know that you're here?" And "What would they say if they knew you were here?" She also asks what they know about the disease the vaccine is formulated to prevent, and why that could be beneficial. "It's helping them be advocates," Casey says. "And then we do go over scenarios. Like 'What if your mom finds out because you tell them?' "
In the case of the 16-year-old, the student got the vaccines from Casey and the parents never saw a bill because it went to an Oregon Medicaid program. "And by the end of her catching up to her immunization schedule over like a year and a half period, she had told her mom," says Casey. She says the student's mother wasn't thrilled, but didn't make an issue of it. Across the Columbia River in Vancouver, Wash., Shona Carter sits at home as she has been doing for months now. 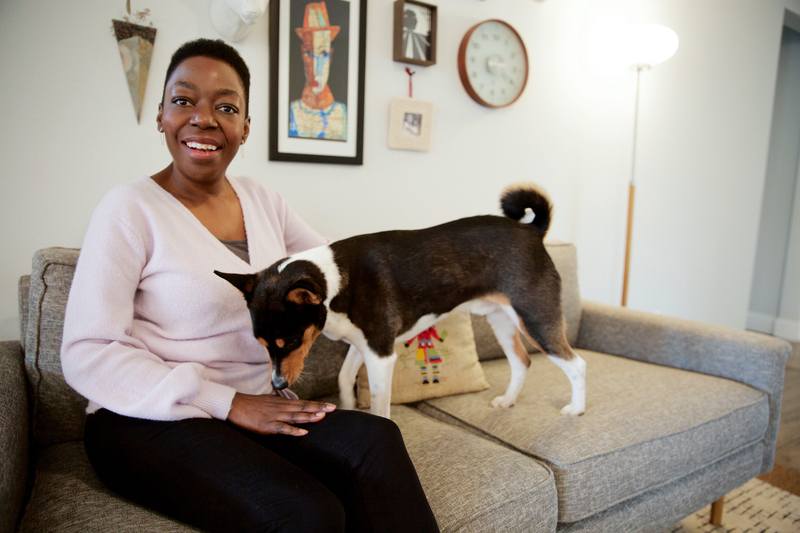 Shona Carter has leukemia, which means doctors had to kill off her immune system and give her a new one in the form of a bone marrow transplant. She has leukemia, which means doctors had to kill off her immune system and give her a new one in the form of a bone marrow transplant. But a new immune system has to adapt to diseases all over again. "I mean, you're a baby. You're brand new. You have to get all of your vaccines redone," says Carter. "Some of them you can't have done immediately because they're like live weakened vaccines," Carter says. "So the measles is important for me to get, but I can't have it right now." Carter's immune system isn't strong enough, so the outbreak has her very worried. But there's not much she can do except follow doctors orders like staying at home, using lots of hand sanitizer and wearing a mask. "I don't want any setbacks," says Carter. "One of my fears is getting something like the measles, which could ... potentially kill me because I'm not strong enough to fight it off," she says. Measles can kill or blind, but that's rare. Authorities say the outbreak is still evolving. They don't expect it to end any time soon. Washington and Oregon are two of 17 states that let children go to school unvaccinated because of personal beliefs. Both state legislatures are now considering changes to those laws. More than 50 people have been infected by the measles in the Pacific Northwest. Kristian Foden-Vencil of Oregon Public Broadcasting reports the outbreak is prompting people to get vaccinated. KRISTIAN FODEN-VENCIL, BYLINE: Sea Mar is a community health center in Vancouver, Washington. It caters to low-income and undocumented people. Administrator Sean Brannon says so many have been coming in for measles shots, they had to order 10 times as much vaccine as usual. SHAWN BRANNAN: I've noticed that in larger populations that typically don't vaccinate their children for their own reasons are now in a mad dash, if you will, to get vaccinated. FODEN-VENCIL: One of those population groups includes people from the former Soviet Union, where distrust of government runs deep. Others have their own reasons not to vaccinate. BRANNAN: Unfortunately, once people Google, they find all these warnings and adverse reactions and it can sometimes blur what's really important for the child. FODEN-VENCIL: And in some cases, people see their kids with cold symptoms and worry it might be measles so they come in for vaccines, too. Clark County Public Health Director Dr. Alan Melnick is exasperated. ALAN MELNICK: I mean, this is a lousy way to get vaccination rates up. I wish we had vaccination rates up ahead of time. I wish it didn't take an outbreak and one child already being hospitalized. FODEN-VENCIL: The Washington State Health Department says about 500 people were immunized against measles in this area last January. This January, there've been more than 3,000. Across the Columbia River, in Portland, Ore., nurse practitioner Nancy Casey helps run the health center at Roosevelt High School. She remembers a 16-year-old who came to her to get shots. NANCY CASEY: The child said, you know, my mom really doesn't believe in vaccines, but I'm thinking, you know, I want to start. And so we get into a conversation 'cause a lot that happens here is, well, why doesn't your parent, you know, want you to have vaccines? And, you know, do they know you're here? And what would they say if you were here? FODEN-VENCIL: Oregon law allows kids 15 or older to consent to physical health care. So she teaches students about vaccines and helps them decide what to do and whether to call their parents. The 16-year-old decided to get the shots. Her parents never saw a bill. It was sent to a state Medicaid program. CASEY: And by the end of her catching up to her immunization schedule over, like, a year and a half period, she had told her mom. And her mom was not thrilled, but she respected it. FODEN-VENCIL: Back across the Columbia River, in Vancouver, Wash., Shona Carter (ph) sits at home. She has leukemia, which means doctors had to kill-off her immune system and give her a new one in the form of a bone marrow transplant. The trouble is her new immune system is just that - new. SHONA CARTER: Well, I mean, you're a baby. You're brand-new. You have to get all of your vaccines redone. FODEN-VENCIL: Right now, her immune system isn't strong enough to get the measles shot, and the outbreak has her very worried. So she follows doctor's orders, staying at home all the time, using lots of hand sanitizer and sometimes a mask. CARTER: I don't want any setbacks. And this is one of my fears, is, you know, getting something like the measles that could potentially kill me because I'm not strong enough to fight it off. FODEN-VENCIL: Measles can kill or blind, but that's rare. Washington and Oregon are two of 17 states that let children go to school unvaccinated because of personal beliefs. Lawmakers are considering changes. For NPR News, I'm Kristian Foden-Vencil in Vancouver, Wash. Transcript provided by NPR, Copyright NPR.